“If you could sit down and talk to your younger self, what advice would you give you?” Isn’t that a question, or a secret wish we’ve all had at some point? Well, in this post we have ten celebrities who have become reacquainted with their younger selves. It’s interesting to see how some of these celebrities have changed and aged over the years, a couple of who are sadly no longer with us. We wonder… what advice would these celebs have given to their younger selves? English singer, songwriter, guitarist and record producer Ed Sheeran has taken the world by storm over the last half a decade with his distinct fusion of folk pop and hip hop. 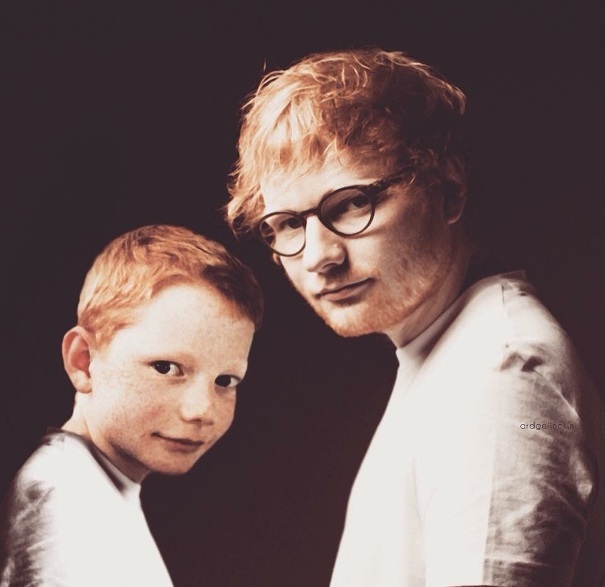 We wonder if the little Ed pictured here would have imagined himself 20 years later as one of the world’s best-selling music artists who has sold more than 38 million albums and 100 million singles worldwide.